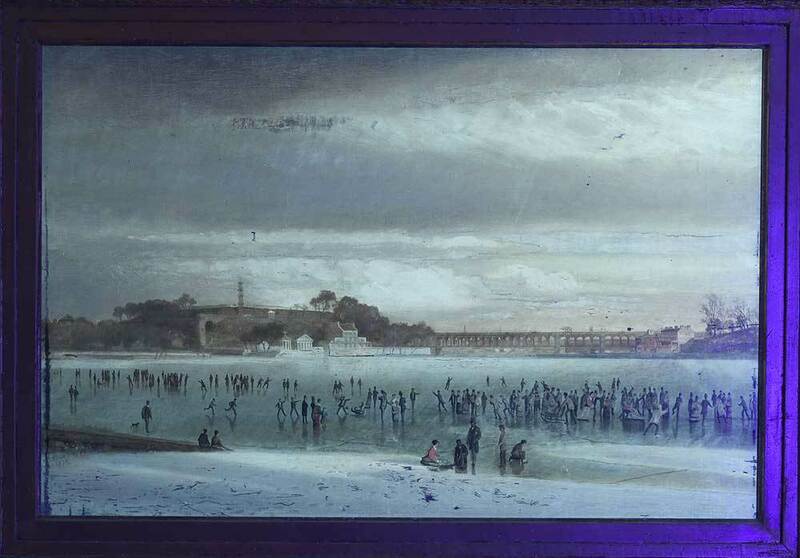 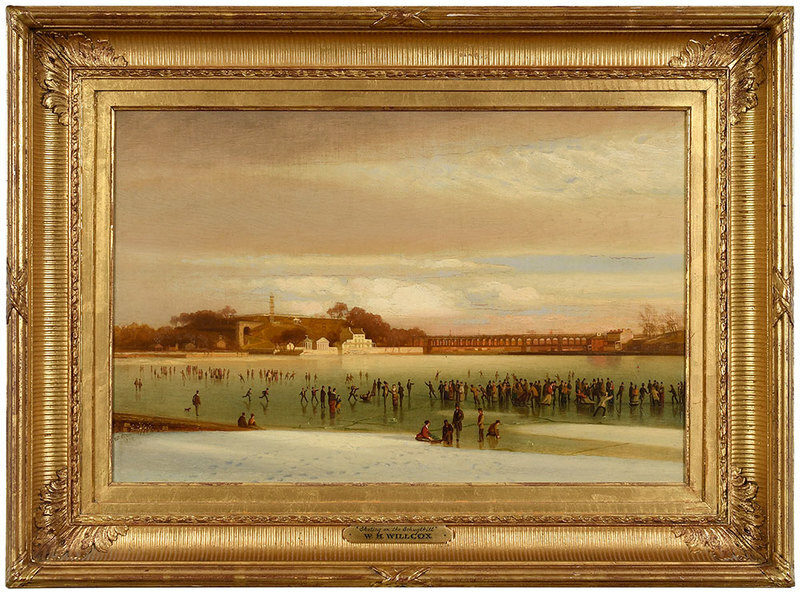 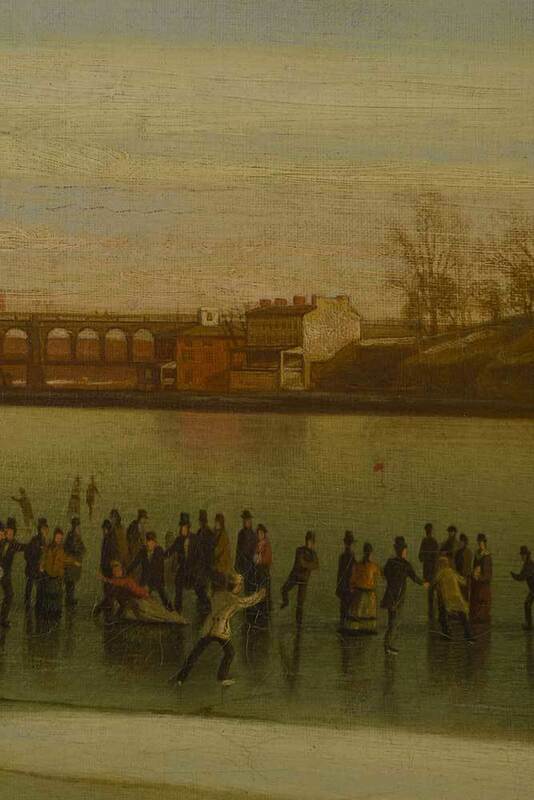 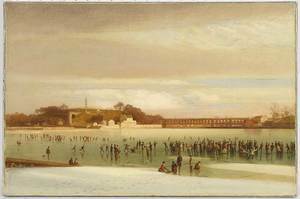 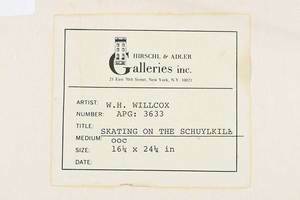 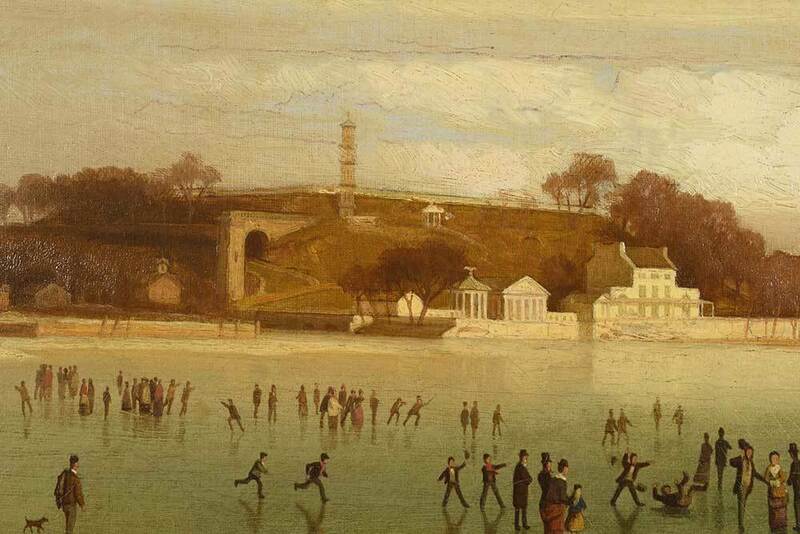 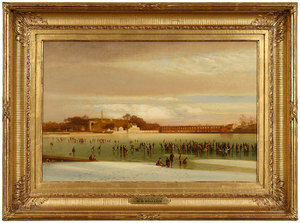 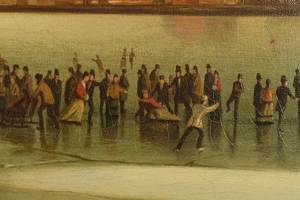 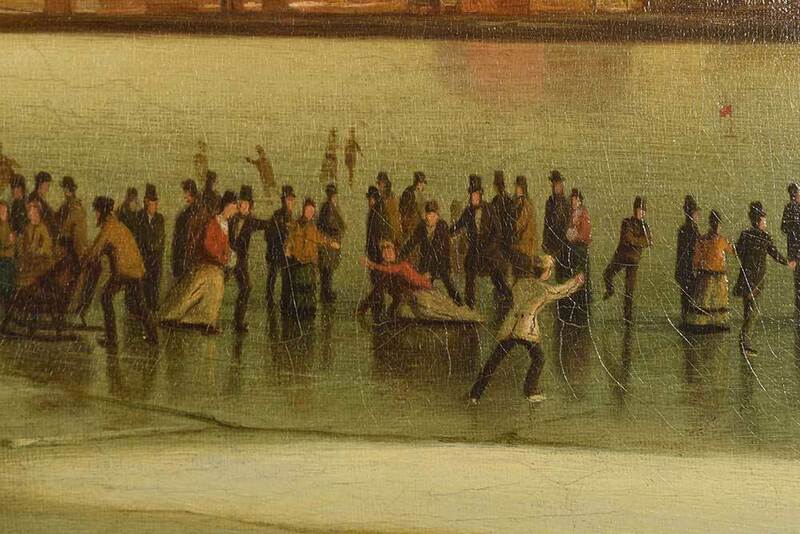 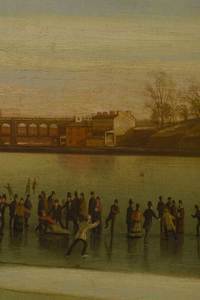 Skating on the Schuylkill, 1875, signed lower left "WH Willcox 1875", oil on canvas, 16-1/4 x 24-1/2 in. 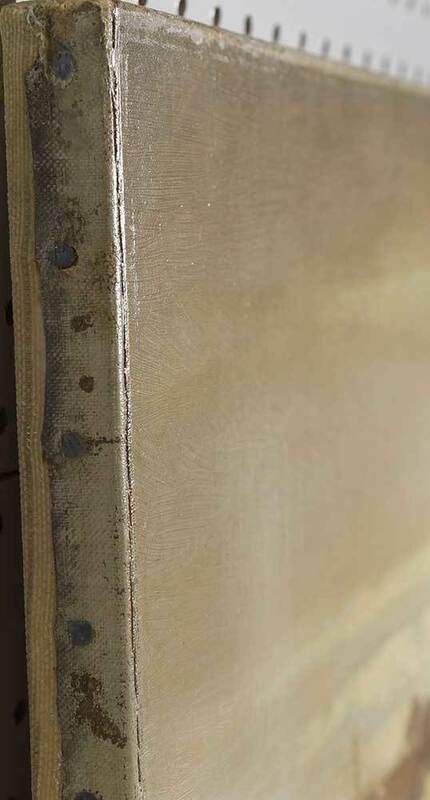 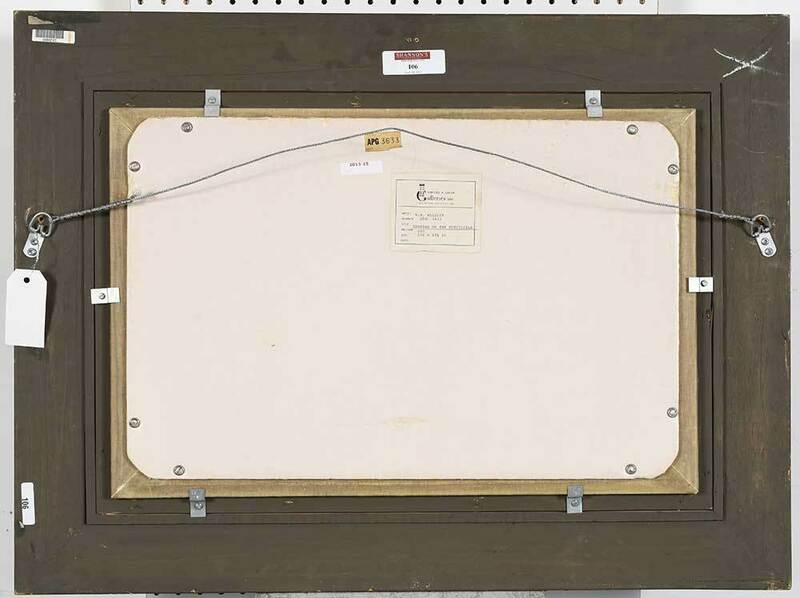 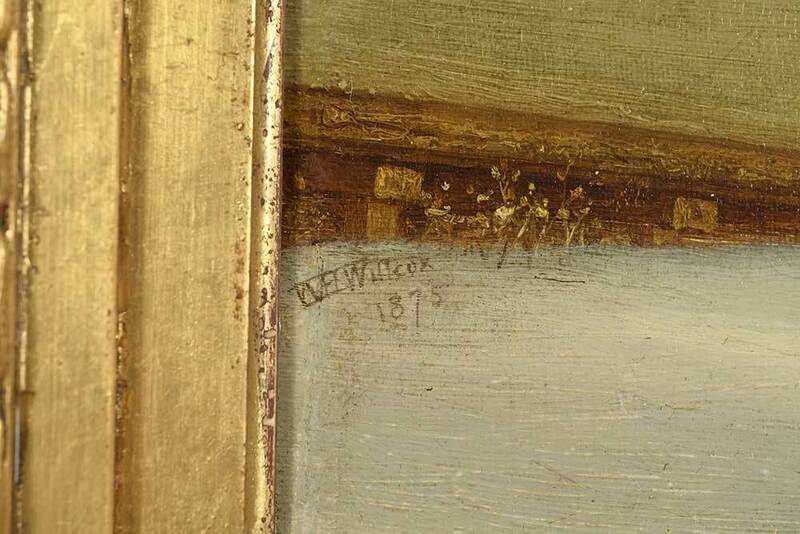 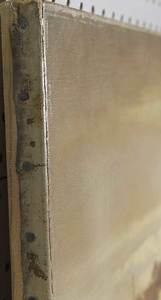 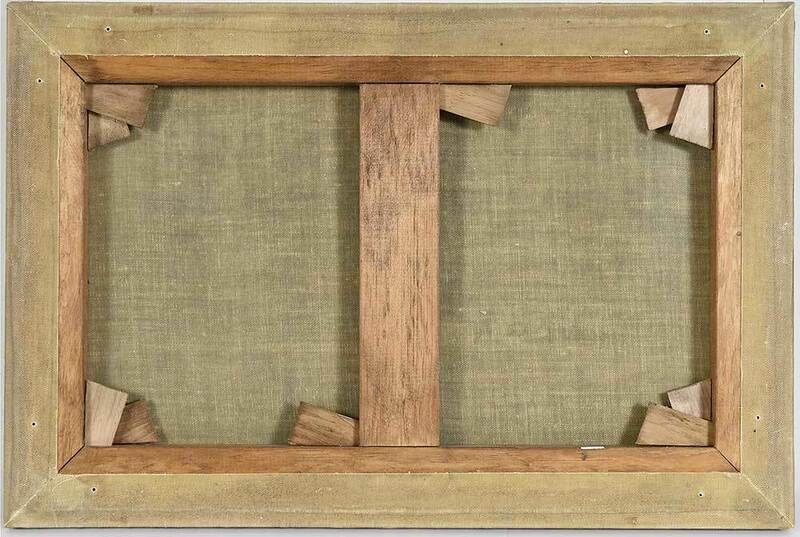 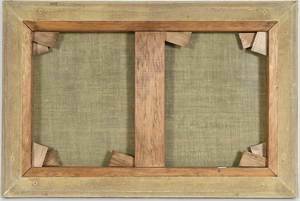 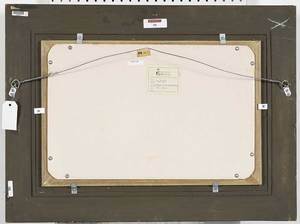 ; reproduction gilt wood frame, 24-1/2 x 32-3/4 in. 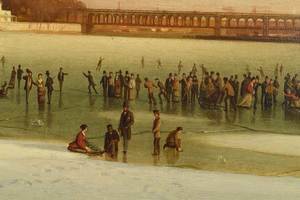 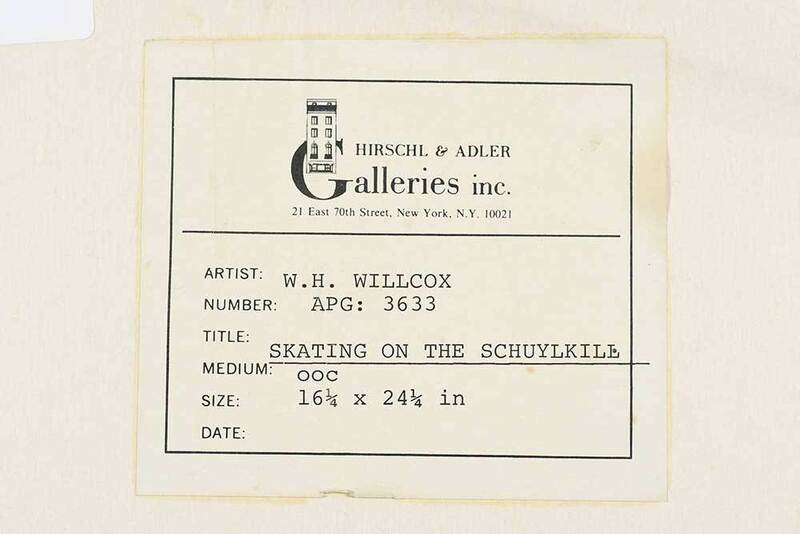 Philadelphia was a center of skating in the mid-nineteenth century, when a group of gregarious gentlemen decided to form the Skaters' Club of the City and County of Philadelphia. 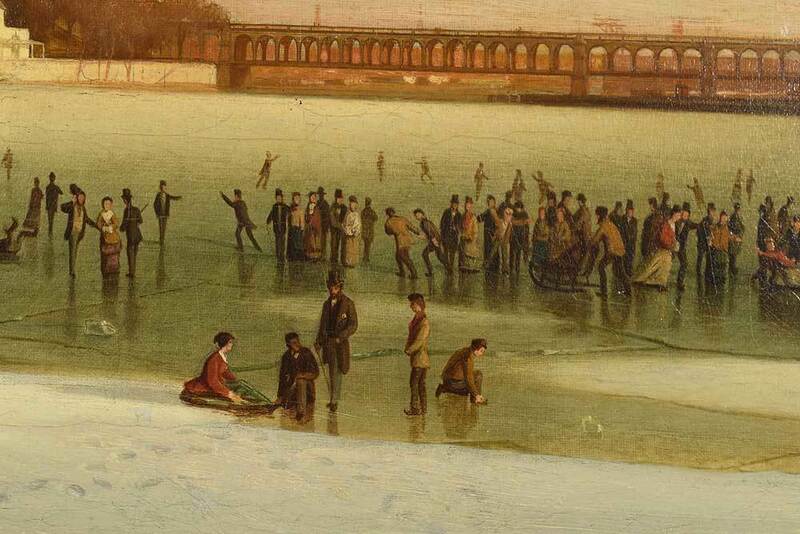 Not only was the club quite fashionable, it also had charitable functions. 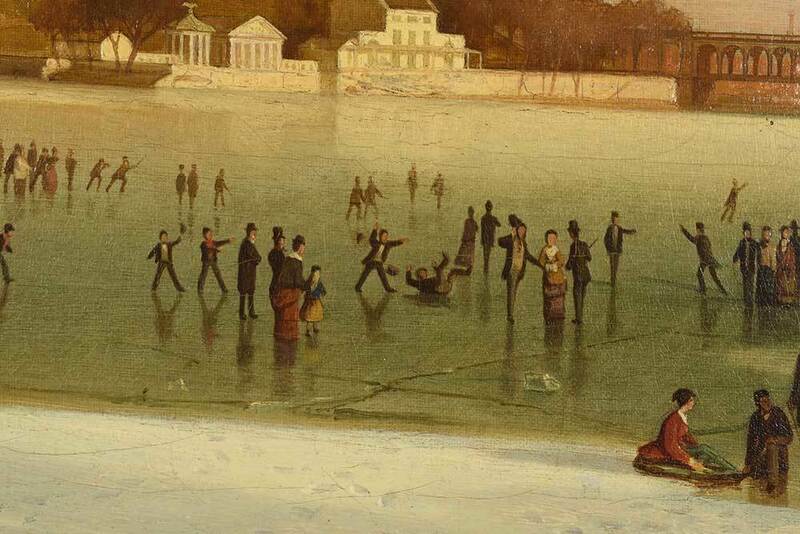 Chief among them was rescuing hapless skaters from chilling waters, mostly those of the Schuykill River, resulting in the origin of the unusual name of "Humane Society" for a skating club.